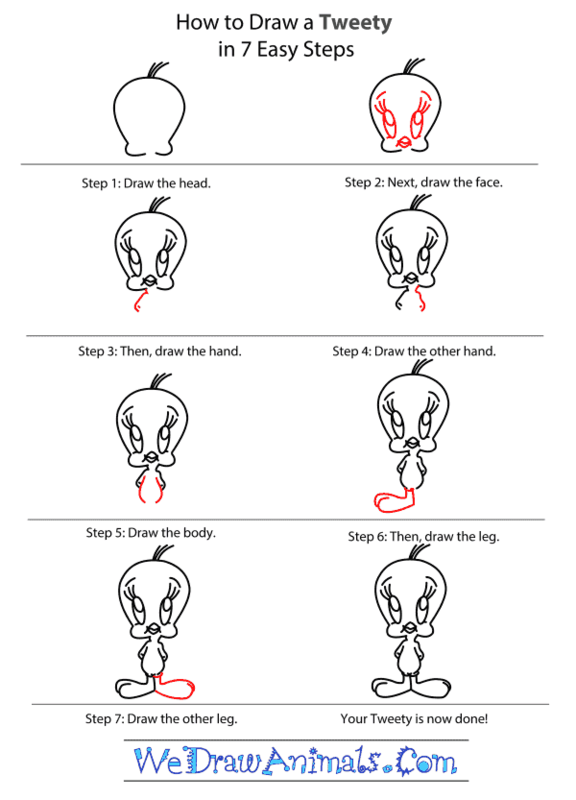 In this quick tutorial you'll learn how to draw Tweety in 7 easy steps - great for kids and novice artists. 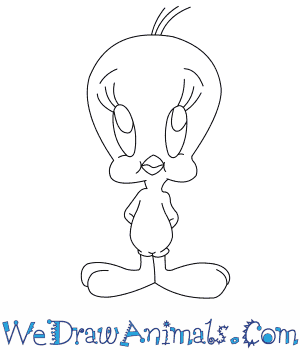 At the bottom you can read some interesting facts about the Tweety. 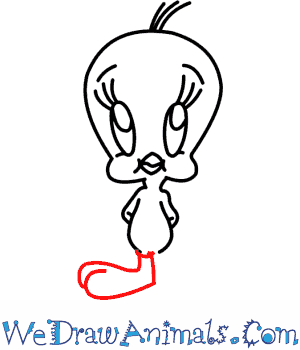 Tweety is a member of the Looney Tunes and Merrie Melodies casting group from the animated television series. The characters began their release during 1930 and were produced by the Warner Bros. studio during the Golden Age of American animation. 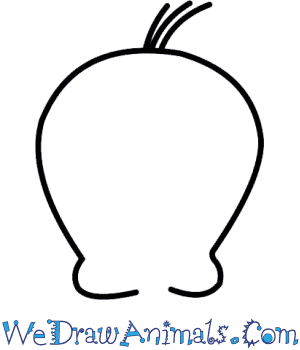 The first characters made were Bosko and Buddy. 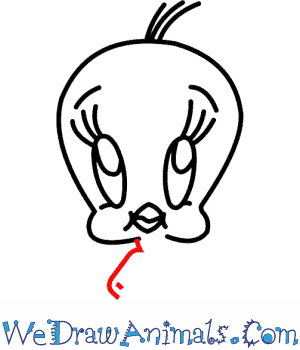 These cartoons began in movie theaters and outnumbered the frequency of Walt Disney Productions, Paramount’s Famous Studios, Universal’s Walter Lantz, Columbia’s UPA, 20th Century Fox’s Terrytoons, MGM, and others. 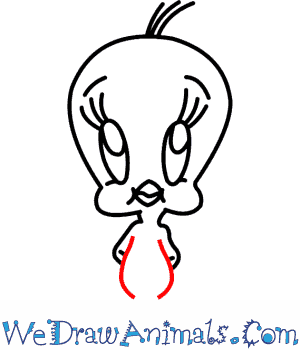 This character was first released in 1942 and voiced by the “Man of a Thousand Voices” Mel Blanc. 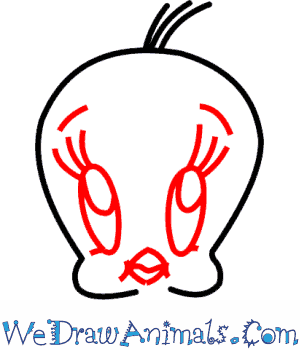 He is a yellow male Canary bird with an orange beak and feet, blue eyes, and 3 stray feathers on the crown of his big head. His alias is Tweety Bird, Tweety, and Tweetie. His enemy is Sylvester, the cat of Granny, Porky Pig, or Elmer Fudd. He has bulldog friends named Hector and Spike. His tributes include cameos in movies, television shows and commercials, comics, a book, video games, and modern art. 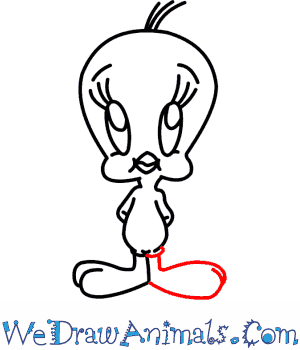 Looney Tunes/Merrie Melodies has turned into a worldwide franchise, creating many television series, comic books, feature films, video games, music albums, and amusement park rides. Some of the characters have had cameo appearances in many other television shows, advertisements, and movies.